Dream Alive | OK Listen! It is fitting that Los Angeles-based Dream Alive founding members Nik Phoeniks Ramon Ryder and Karan Parikh initially met at the famed Rainbow Bar and Grill on the Sunset Strip – a haunt that has played host to music’s most esteemed icons for decades. All three of them immediately bonded over the yearn to create a more original, transcendent body of work and about their common influences such as Pink Floyd, Muse and Journey. 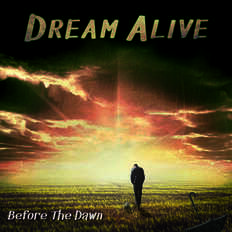 “The core of Dream Alive is melodic pop rock,” says Nik. “But we’re always interested in expanding our musicality to incorporate everything from a psychedelic direction to cinematic range. We want to bridge the gap between our classic rock roots and our In order to achieve that expansive and epic sound, the pair enlisted the talents of bassist Martin Fredriksson and drummer Stanley Love. After tracking drums at Simon Phillips’ (Toto, Judas Priest, Michael Schenker Group) Phantom Recordings in Van Nuys, the band recorded the rest of the tracks at Karan’s K Loft Studios where Dream Alive self-produce their debut album, Before The Dawn which was mixed and engineered by Karan Parikh himself. "We spent innumerable nights in the studio creating and experimenting with tones. Our aim was to discover new sounds that would do justice to the material, while giving audiences something they haven't heard before," explains Karan. 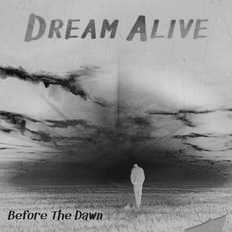 Dream Alive reflects the same spirit of the legends who have frequented their initial breeding ground, and now they too, are poised to etch their own place in history.